Property Clearance in London ~ Exclusive 40% Off Call Today! 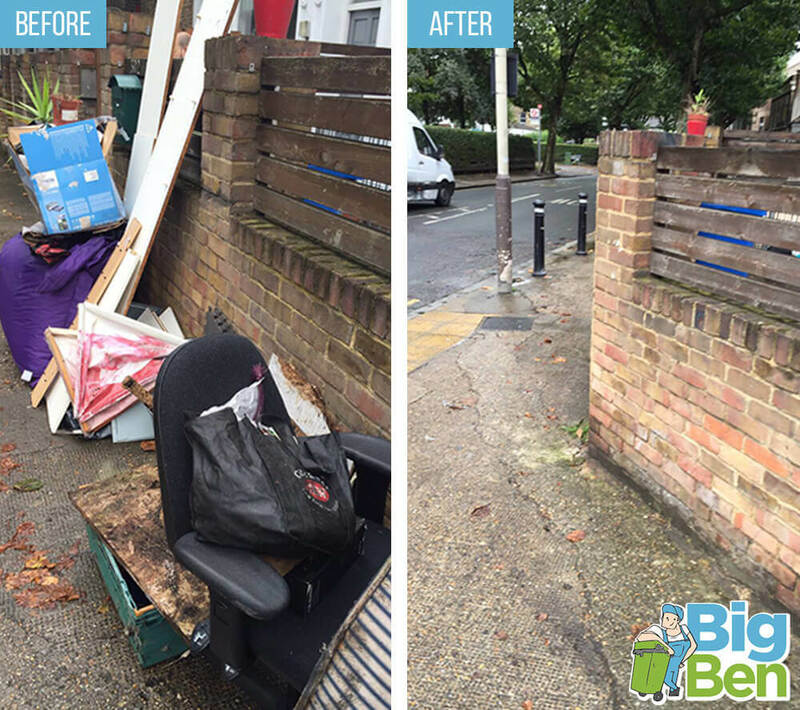 There are many instances in which a home owner or a property manager might require clearance service professionals and if you need a good and reputable clearance company offering a fast service for very affordable prices, call 020 3743 8686 to talk to Big Ben. Our company offers property clearance services which can benefit a whole range of individuals and we can deal with jobs of any size – from small flat clearance work to large scale house clearances and office clearance, our junk removal team are happy to help you get rid of unwanted rubbish and debris, and our workers can assist you in moving old unwanted furniture and personal effects to valuers, charity shops and recycling plants. If you contact us on 020 3743 8686 and let us know what it is you need, and where your property is located we’ll be able to send you our clearance professionals at a time that suits you. We don’t just work the usual 9 to 5 pattern and our specialists can be called out during the early mornings and late evenings, and throughout weekends to deal with your clearance needs. Our team are able to respond to emergency calls if say you are a landlord needing to get an abandoned property renovated for re-letting or a company wanting to get its premises ready and avoid losing too much trading time. Contacting us is a smart step if you have a lot of rubbish removal to deal with and little scope for getting it done without professional assistance. Our company has access to all manner of waste and material disposal centres and we can help you recycle items that can be re-used or broken down. Our team has a range of vehicles and skips ready to deploy in your hour of need and there are a number of workers available at the drop of a hat to assist with the disposal of waste and any other unwanted items. Call us today on 020 3743 8686 and we can assess, over the telephone, exactly what it is you need us to remove and we can not only work out what we will be needing in terms of equipment and staff, but we can give you a quote over the telephone for our services which will help you keep costs and so forth within budget and make an informed decision before instructing us. Our prices are all-inclusive and there are no hidden costs when you instruct us. Our property clearance team is well worth the cost as well – we work very hard and efficiency is our ultimate aim. We don’t want to keep you or your staff waiting for us to work out what to do and that’s why we come to you with a clear plan every time we deal with any job. Our workers use a number of techniques to get collections and loading done quickly and we monitor the way in which our staff are working to ensure that the service you receive is of the highest quality. Big Ben deals in property clearance for all manner of customers and our clearance services can be called in if you are the executor of a will faced with the prospect of getting rid of a lot of old furniture and house contents, the owner of a residential or commercial unit with abandoned contents and products, or a property owner wanting help with renovation or the removal of builders’ and contractors’ rubbish. Call us on 020 3743 8686 and let us know what your needs are and we’ll provide the service you require.